A Way Out Announced at E3 2017: Cinematic Trailer from EA | Nerd Much? EA has announced A Way Out, one of their new IPs that debuted today during their EA Play conference at E3 2017. 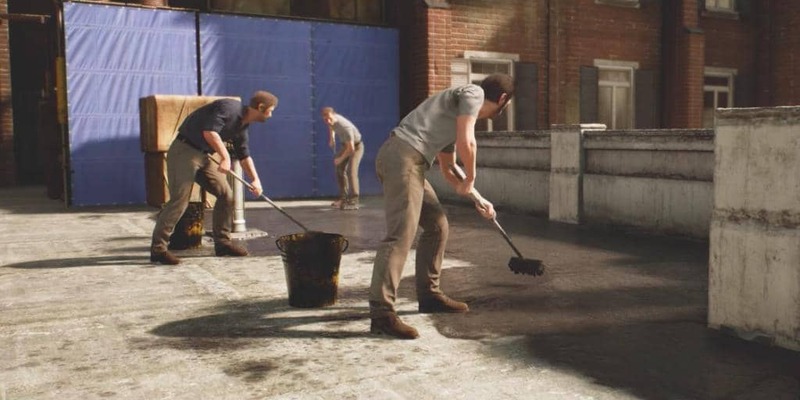 A Way Out is a split screen co-op prison escape game, with absolutely no single player mode. A very welcome type of game in the current industry. A Way Out will be coming early 2018 and ensures that both players must work together, no matter the situation. The main characters are Leo and Vincent, who go through everything from car chases, stealth passages, melee fights, shootouts, and much more. They begin in a prison, as two separate inmates who have had no previous contact with each other. As the game and story progresses, they meet and build a deep friendship, eventually leading to their breakout, and of course the world beyond. According to writer and director of the development studio Hazelight Josef Fares, the idea for A Way Out came when he and a friend were trying to find a story-driven co-op game that wasn’t a drop-in. Of course, they couldn’t find one. Thus, being the innovators they are, Hazelight is doing their best to make sure A Way Out is an immersive, and seamless game (despite the split screen). A Way Out will be available as a digital download in early 2018 on PC, Xbox One, and PS4.